On 24th of April 2018, which landed on a Tuesday. Marks the return of 24E after over 23 years of absence to the streets of Lisbon. This tram line Now transports people on a journey that transports residents and visitors between Praça Luís de Camões and Campolide in Lisbon. This return is full evidences that the company behind this expansion which is named CARRIS. Got commitment to expanding the electric network and improving the service provided for the Lisbon residents. To commemorate the beginning of the exploration of 24E, the trips are totally free on 24th of April and on 25th of April. Distrita got this news a bit late, so be aware that the free ride is only effective on 25th of April. 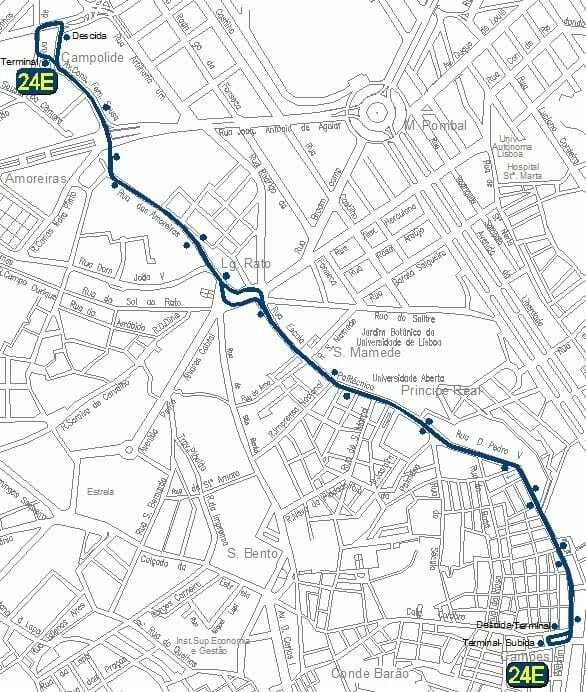 If you want to understand and know the complete route and the schedules of 24E, then we at Distrita recommends you to check the Carris website for more info. Lisbon is one of the most unique tram cities in the world. Here you have heritage tram wagons running on the steep and small streets of the town, which is beautiful. Including lot’s of heritage tram lines, Lisbon also boosts a modern tram network that is using low-floor tram wagons which is much newer. But that’s not all. 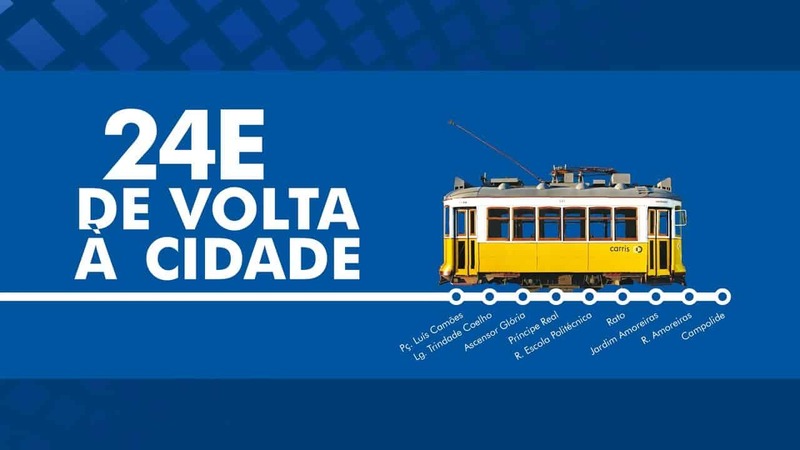 If you are huge transit interested person and do have time when visiting Lisbon. Then I would recommend you to take a ferry from Cais Do Sodré in Lisbon centre to the southern Metro do Sul do Tejo light rail network system. This is a quite new light rail network that opened in 2007. It’s a big light rail network. Just do not get confused with the Metro name. It is a light rail network, with low floor light rail wagons. Both of the lines starts at the harbour station named as Cacilhas. It’s really interesting to see how areas that chooses to build tram or light rail networks, tends to have a happier life all in all. Either new or heritage. These street running trains makes it possible to create a better town to live in for sure.